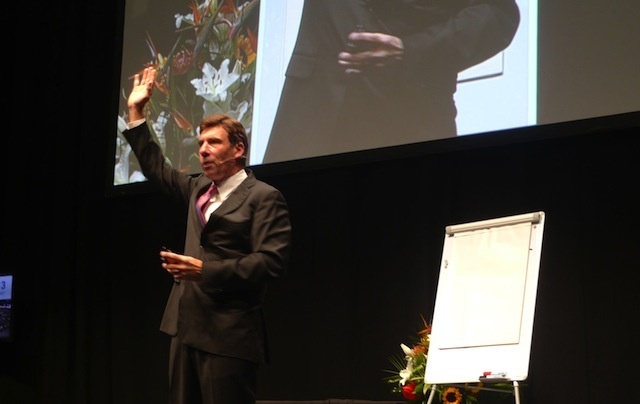 As a keynote speaker and memory expert, the most common question I receive is, “How do you improve your memory?” Paying attention and being visual are very powerful techniques. Are you absentminded? Do you forget where you put your keys, parked your car, placed your cell phone? Have you ever been sitting relaxed watching television and a thought occurs to you? You jump out of your chair, you dash into the other room and stop… You ask yourself, “Why am I here?” Then you start looking around the room for clues. Have you ever wondered why you have to go all the way back to your chair and sit down before you remember why you got up in the first place? Actually it’s not so bad you forgot where you put your car keys. It’s the damaging side effects. Damaging side effect 1: You’ve been looking for your keys for twenty minutes. Could you have just missed an important appointment? Could that cost you money? Damaging side effect 2: You’ve been looking for your keys for twenty minutes. What is happening to your body? Your heart rate is up, your blood pressure is up, your stress level is up. This isn’t good for you. Damaging side effect 3: You’ve been looking for your keys for twenty minutes. Should any member of the immediate family approach you right now? Wouldn’t be good for the family member either. Damaging side effect 4: You’ve been looking for your keys for twenty minutes, what is this doing to psychologically? What are you telling yourself right now? I’m stupid, I’m dumb, I’m an idiot. Oh, they’re in my pocket, I’m such a fool. I had a professor in college tell me how he remembers where he puts his keys. For example, if he were to put the keys on the table, he would do the following. In a very loud commanding voice he would yell, “I AM KNOW PUTTING MY KEYS ON THE TABLE!” He said it works great. “Not only do I know where they are, but everyone in the house does too,” he told me. Pay attention and say it out loud. What if you have many things to remember? Perhaps 10 items you need to buy at the store. Perhaps the original colonies or capital cities of the United States to help your child pass a test in history class. The visual memory is powerful. Let’s attach your memory to something you already have memorized – your body. The first state is Delaware. Visualize a Deli Sandwich and underwear on your head. Go ahead. Close your eyes and see this taking place. Pennsylvania. Visualize a bunch of pencils sticking out of your forehead. New Jersey. Visualize a new jersey hanging from your eyelids. Georgia. Visualize a Georgia peach up your nose. Connecticut. Visualize two pairs of scissors connecting a cut from the left and the right of your upper lip. Meeting at the middle. You connected a cut. Massachusetts. Visualize an animal with a lot of Mass. Perhaps an elephant. Visualize an elephants on your shoulders. By simply starting from your head and working your way down your body, try repeating the list of states you just visualized. Now make up your own list of grocery items and place them around your body the same way. You already have a powerful memory. You just need to learn to improve your memory and discover what our memory can already do. Memory techniques like these will help you rediscover what you were already capable of doing.